Nearsighted and farsighted early adopters have a date in sight for the first prescription lenses that are compatible with Google Glass. Rochester Optical, previously confirmed to be ramping up Google Glass lenses sometime in the future, is said to be ready to offer pre-orders for $99 (about £60, AU$110), according to SlashGear. That's a very small chunk of change compared to the $1,500 (about £906, AU$1,677) that Google Glass Explorers have already sunk into the invite-only gadget. It's also a priceless add-on given the fact that Google Glass currently doesn't work with normal eyeglasses. It's an investment worth making for a large portion of tech enthusiasts. 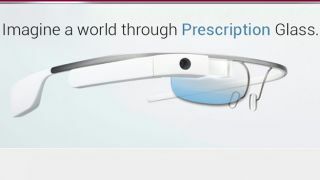 Pre-orders from this New York-based startup are supposed to begin after CES 2014 next week and are thought to be different from Google's Prescription Glass prototype. A recent questionnaire made the Rochester Optical lenses sound as if they work along the lines of the clip-on clear shield and tinted sunglasses that fasten between the Google Glass nosepieces. Google's version, meanwhile, is expected to replace the frame entirely but keep the heads-up display, according to leaked photos of the prototype. Sadly, it has no price or release date yet. While we're not sure which design will be better, pre-orders for the affordable Rochester Optical lenses may very well be the first solution for glasses wearers out there. Read: Google Glass competitors: What are they and how do they compare?